On July 4 (UT), the Deep Impact spacecraft intercepted comet Tempel 1. 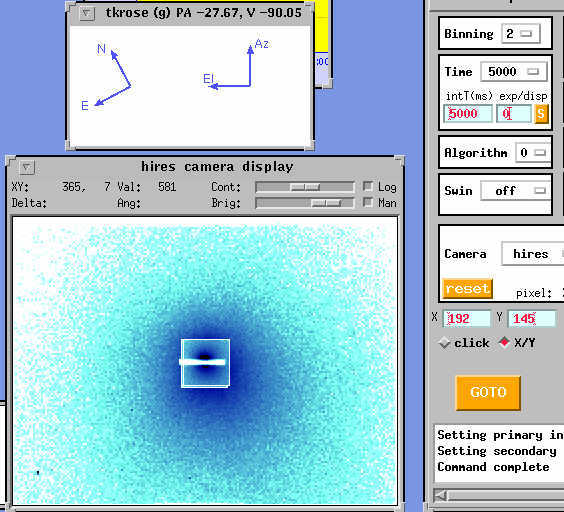 Director's time at the W. M. Keck Observatory was allocated in order to observe the comet with the High Resolution Echelle Spectrograph (HIRES) on Keck 1, as well as the Near Infrared Spectrometer (NIRSPEC) on Keck 2. 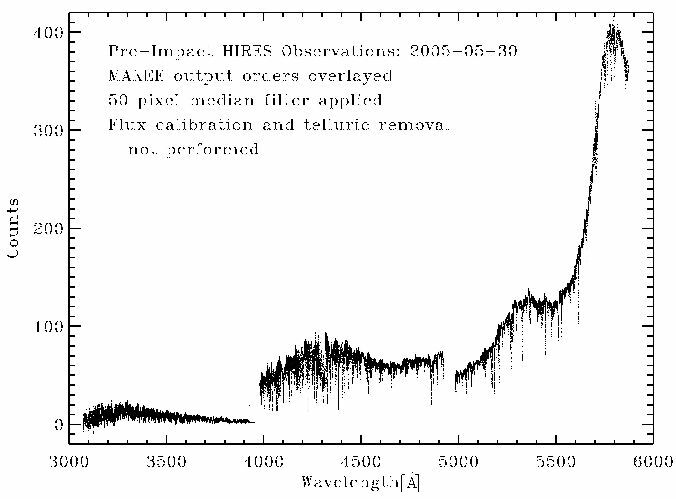 These data comprised an early public release of data from the Keck Observatory Archive (KOA), which began providing public access to non-proprietary HIRES data in July 2006. For help downloading HIRES and NIRSPEC Deep Impact observations, please see the download user's guide, or contact the KOA Helpdesk. The Keck Observatory Archive has been made possible by funding provided by the National Aeronautics and Space Administration to Caltech and the W. M. Keck Observatory. The W. M. Keck Observatory Director Fred Chaffee is thanked for donating his director's time for the HIRES observations of Tempel 1 and for providing the data to the public. Thanks also to Dr. Mike Bolte for making part of his observing time available for the pre-impact observations. Please contact KOA Support with questions or problems.